Hope everyone is doing well. My only complaint is that I am ready for winter to be over. I can't handle any more snow. Seriously, have had enough feet of it to last me a good long while. Plus there is the cold, it seems like it has been colder this year than any previous year. So today's polish is a play on yesterdays mani. 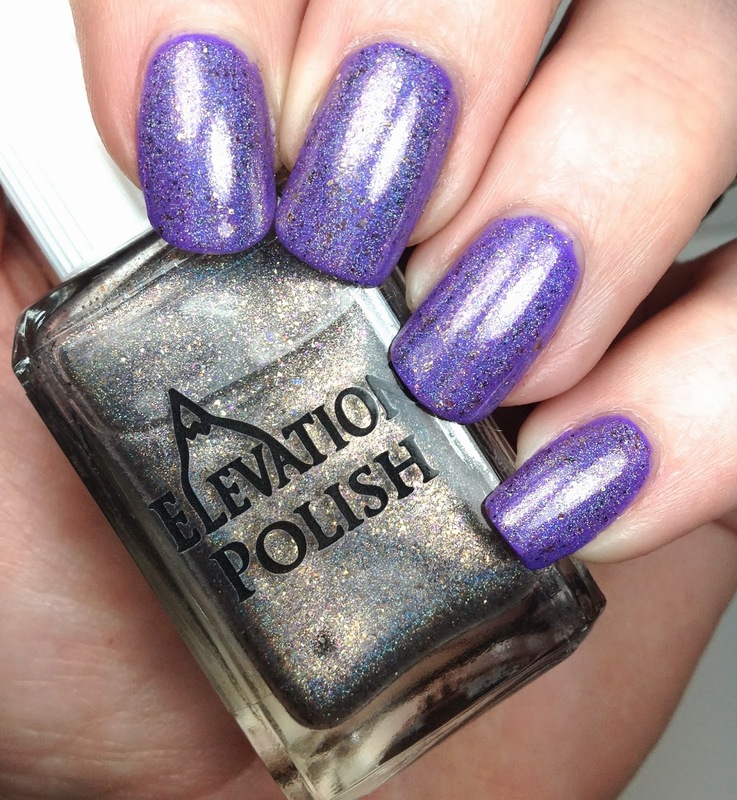 I topped Any Place Any Time with a new Elevation Polish that I got. I recently ordered Aguja St. Exupery and Haleakala both of them are beautiful. I opted to use Aguja St. Exupery for this mani. 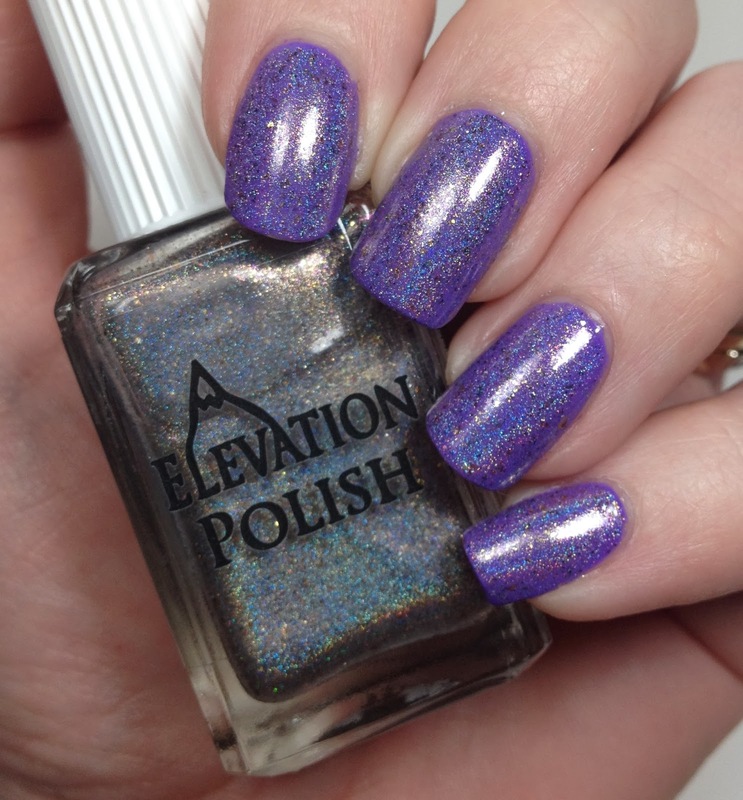 Elevation Polish describes this as: Holographic shimmer topper. Includes holographic pigment, charcoal flake shimmer, pink flake shimmer, and gold flake shimmer. Shimmers are scattered and may appear and disappear in certain light angles. 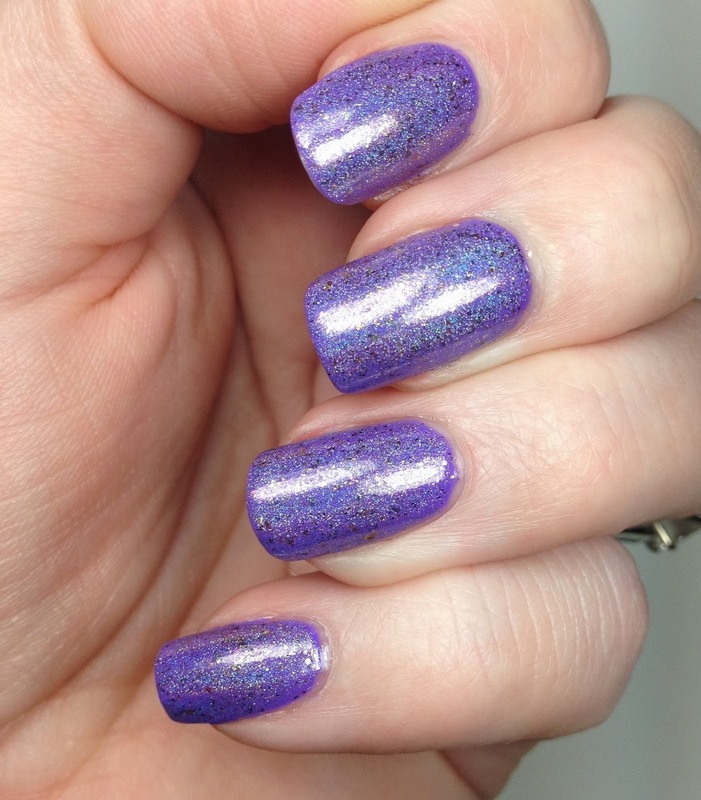 So I layered two coats of Aguja St. Exupery on top of my current mani of Polish & Co. Any Place Any Time. I then topped it with Glisten and Glow HK Girl topcoat. Like I said in my previous post, it is still going strong. I am going to change it because I have other things that I need to try out, but it's still going strong. The holo in this is amazing. More than once I have caught myself just staring at it and all it's beauty. Yes, I can't wait to try it over others! Surely you jest, bust it out and use it !